hd00:28Travel motion backgrounds. Railways wagon window view at sunset with dramatic cloudy sky. hd00:20Construction work at sunset. 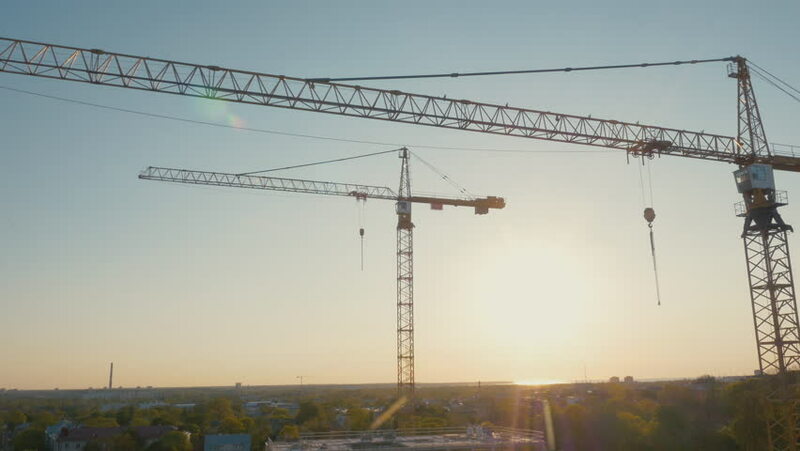 Tower cranes are used to complete the task quickly.